The heart. A vital organ. A symbol of love. 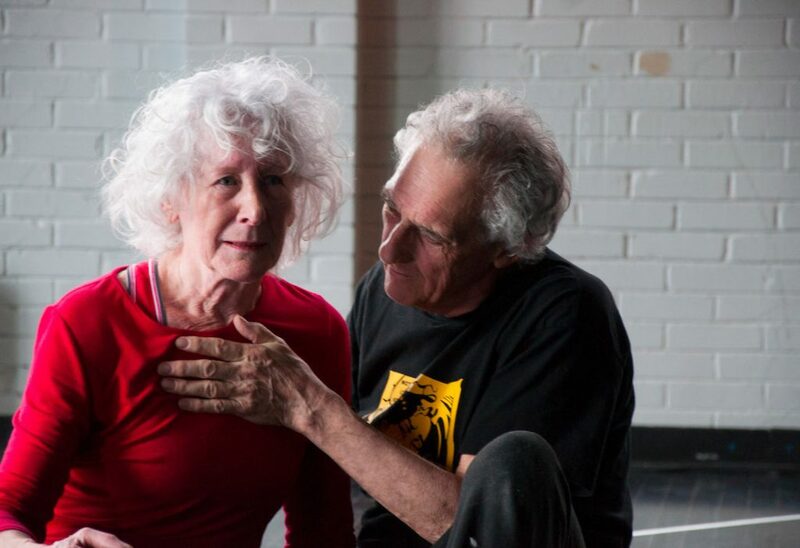 In this choreographic installation, a group of professional and amateur dancers between 5 and 75 years of age gesture and sing to the throbbing rhythm of their beating hearts. With movements reduced to their simplest essence and stripped of all artifice, their singular presence radiates with authenticity. As the dance gently progresses, a profound and moving outcome of our being-together in this moment takes place: our heartbeats synchronize. Listening to this powerful, relentless, rhythmic life source, from deep within our bodies, we experience a return to the natural and the very core of our beings. Together, we participate in a ritual that seems at once mysterious and spiritual. Timeless. This project has benefited from a creation residency at the Département de danse of UQAM. This piece has also benefited from the financial support of the Conseil des arts et des lettres du Québec. This project dwells upon a primordial rhythm, a kind of supporting movement to existence: the beating of the heart. Upon reaching 22 days and 2 millimeters in body, the foetus’s heart begins to pulsate. This dance will continue until the last breath. 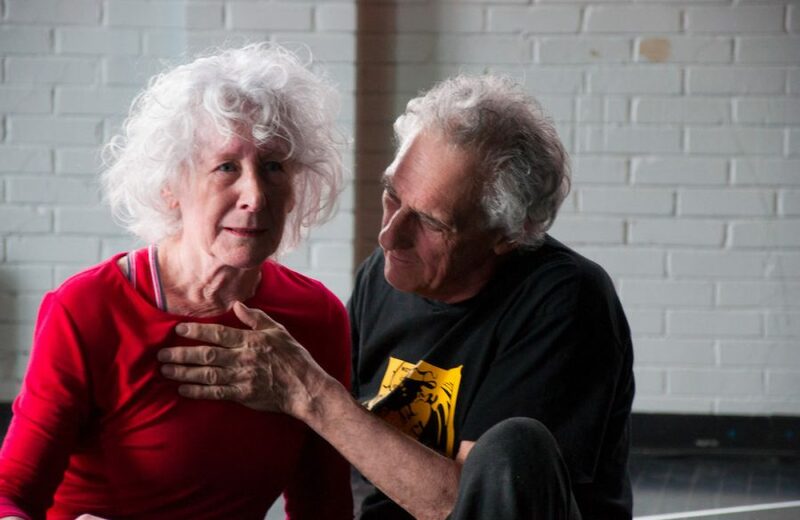 A group of intergenerational performers follow a simple directive: to build from and develop upon their heartbeat. All at once forceful, irregular and never tiring, the heart’s rhythm passes on its power while reflecting the frailty of the life it carries. 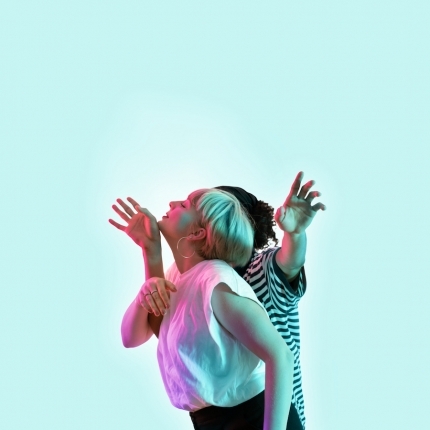 Sarah Dell’Ava explores body memory, emergence of movement and performer presence. From 2013 on, she has been working on the Oriri-Orir-Ori-Or-O polyptych, which delves into the origins of movement (Tangente, Accès Asie). In 2016, she creates along with Ilya Krouglikov and Wolfram Sander Bercer le temps, a participative installation based on lullabies (Dare-Dare, EIM, CAM en tournée, 375MTL). 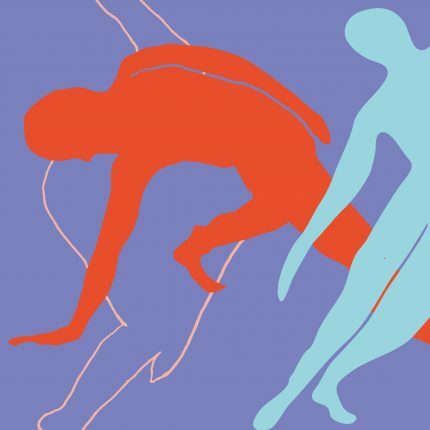 Ever interested in the creation of meaningful life-spaces that stimulate human relations, Sarah participates since 2008 in initiatives by Danse Carpe Diem/Emmanuel Jouthe that closely bring together spectators and performers. 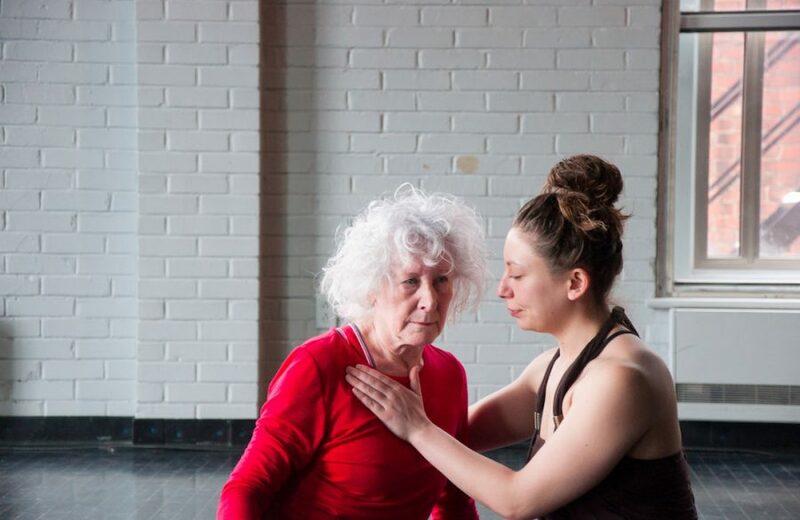 Since 2015, she leads creative processes in different communities: Carnets de corps, involving teenagers (2015); Et si on dansait, with seniors aged sixty and over (2016); La trace de ceux qui ont marché, with immigrants; Ensemble on danse (2017), with the participation of members of CAP; and Ça peut être tout, ça peut être rien with the Synapse workshop of UdeM. Most recently, Sarah cofounded Espace ORIRI, a place of creativity for the purpose of spontaneous expression. Hugo Dalphond acts as lighting and set designer for different theatrical and choreographic projects. He is especially drawn to creative work touching on experimentation and multi-disciplinary endeavors. Along with these cooperative projects, he delves into the synergistic possibilities of bodies, space and light, when developing immersive stage sets: T’aurais pas dû… (2013), On ne peut fixer ni le soleil ni la mort (2013), Dispositif scénographique (2014), Refuge et Idoles (2015), Dispositif immersif de fumée (2015). Mainly by modulating the perception slants with which the spectator views the work, he establishes the encompassing volumes that supply the opportunity of an alternate sensory experience, based on proximity, intuition and affectivity links. Saeed Kamjoo, born in 1965 in Tehran, Iran, is a Persian musician and composer. He is a graduate from the Music Department of Tehran University. He furthered his studies in the instrumental and vocal repertoires of Classical Persian music under the guidance of such renowned masters as Ali Akbar Shekârchi and Ustad Asghar Bahâri. His approach to playing kamanche is based on his perception of the values inherent in classical Persian music. Kamjoo’s style of playing kamanche combines creativity and authenticity with innovation. Although his music has its roots in Classical Persian music, he allows himself to explore the new. Kamjoo moved to Montreal in 1997 and has since been collaborating with various ensembles in Canada, the USA, and Europe. He has recorded many albums and performed in numerous music festivals in Canada, the USA, Mexico, the UK, France, Germany, the Netherlands, Belgium, Norway, Sweden, Spain, Portugal, Poland, Greece, Turkey, and Hong Kong. Kamjoo has also performed as a guest artist with Dastan Ensemble, one of the most renowned Persian musical groups. He has composed music for string quartet and voice based on the poetry of Omar Khayyám (12th c.), played in Toronto in 2012. His new album No dawn, No dusk for Qheychak solo was released in summer 2015. Pooria Pournazeri begins his initiation to the Tanbur (lute from Kurdistan) at the age of 6. Thereafter he pursues his musical formation with his uncle Keykhosrow Pournazeri, teacher of Sufi music. After years practicing the inspirational tonalities of thousand-year-old musics, at the age of 14 he begins to compose his own pieces. At 16, he joins the prestigious Shams Ensemble. In 2009, he establishes the Rivaan Ensemble, along with Majid Pousti and Ostaad Bijan Parvaz; they create the album Let’s Make the Earth Peaceful, within the framework of the United Nation’s project Act on the Climate Change. After his arrival in Montreal, he frequently participates in the creations of Ensemble Constantinople and is part of the Regard Persan Trio. Pooria Pournazeri has appeared in several musical and multidisciplinary events, both in Iran and in Canada. He teaches tanbur, daf and setar in Montreal and is presently working on a 4th solo album. Gisèle Morrissette was born in Joliette, Quebec, on November 24, 1947. After completing a BA in Theatre at Ottawa University, she taught drama in high school. Then, she moved to Montreal where she got a BA in Fine Arts at Concordia University. For 29 years, she worked for CBC Television as costume designer in different types of programs. In her leisure time, she worked as a hiking guide. Having retired 10 years ago, she is, physically, very active. Last year, she participated in a contemporary dance project, Et si on dansait and fell in love with this style of dance. She feels privileged to be part of ORI. Marie Mougeolle arrived in Montreal in 2010 and completed a Master’s in Dance at UQAM in 2014, investigating interdisciplinary creation. As a dancer, she collaborates with Katya Montaignac, Sophie Corriveau, Les Soeurs Schmutt, Eduardo Ruiz Vergara, Andrée Martin and Helen Simard. Her solo piece Entre Autres has been presented in France and Vietnam. With Liane Thériault, she created Mine de Rien in 2015 at OFFTA. She also teaches ballet and pursues her dance research. Prior to her retirement, Céline Laquerre had worked in the fields of audiovisual production and documentation. She recently participated in Circuit Est’s project Et Si On Dansait, an intergenerational contemporary dance workshop. Music, theatre, cinema, music… all these arts fascinate her. They nourish her and give her wings. Cara Roy is a professional Montréal-based dancer originally from New Brunswick. Graduating from l’École de Danse Contemporaine de Montréal in 2016, her experiences with choreographers such Peter Jasko, Catherine Gaudet, Sasha Ivanochko and Virginie Brunelle have inspired her to continuously refine and embody authentic ways of expression. Cara is currently partaking in the creation and performance of many independently run projects. Wanting to feed her craving for growth and her desire to share, Cara also teaches many recreational classes and workshops. Having completed a Bachelor of Arts in Dance at UQAM, Alice Grondin Segal is also interested in physical fitness and its integration to support the physical preparation of pre-professional stage artists. Her love of dance is first nourished by the intense pleasure of moving, as well as by the mysterious expressive charge that movement can contain. She focuses on the importance of movement and expression within a society. It is with the idea that movement is from all and for all that she builds her love for physical fitness activity, by integrating the notions of presence and authenticity in the improvement of physical fitness. Hezekyah Yisrael is 10 years old and filled with excitement for life. He is friendly, caring, and respectful. He likes to read, draw, dance and practice sports. Born in Montreal, Caroline Namts studied classical and contemporary dance for 6 years, at the high school and college levels, at Ballet Divertimento. This program allowed her to work with many choreographers: Sonya Stefan, Amélie Rajotte, Yamandu Delgado, Dominique Porte, James Gregg, Alex Ursuliak, Kristen Céré & François Chirpaz, and Hélène Blackburn. 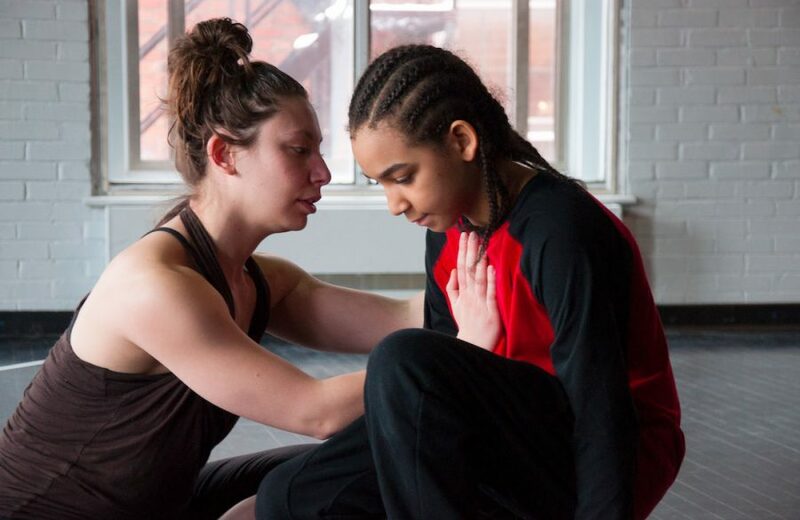 In the fall of 2016, she began her training at the École de danse contemporaine de Montréal. Kiyane Racine is 7 years old and loves to dance. Since September 2016, she has participated in movement workshops with Sarah Dell’Ava. She feels the need to physically take part in forms that differ from those usually offered in recreational centres. Kiyane also enjoys singing, playing the piano, eating chocolate… and watching films. She is naturally inclined to interact with both younger and older people. She is quite familiar with dance and the scenic arts, her mother being a choreographer and her father an actor. 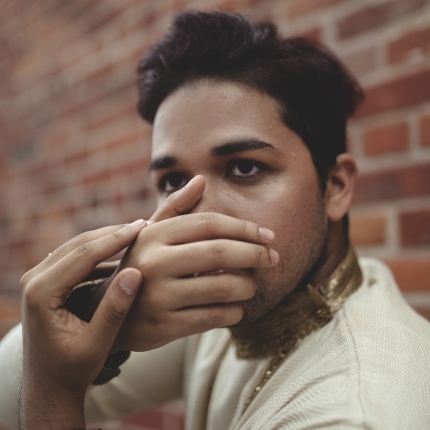 Born in Haïti, Anglesh Major is a young actor, as well as a composer, a dancer and a choreographer; he recently graduated from UQAM’s École Supérieure de Théâtre. He has acted in a number of plays, such as Howard Barker’s Faux pas (2015), staged by Geneviève Blais; Marivaux’s Les Sincères and his Le Legs (2016), directed by Catherine Vidal; and Bertold Brecht’s Sainte-Jeanne des abattoirs, produced by Philippe Cyr. It was in 2012 that he became aware of his ardour for dance. Thereafter, he took courses in Hip Hop and also followed a dance course given by Mélanie Demers, allowing him to discover the world of dance-theatre. Since 2010, this multi-gifted artist also works as a composer. He is presently working on his EP The Awakening, which will come out in the Spring. Parisa Rajabian was born in Isfahan and graduated in painting from the Kerman University of Art. Between 2006 and 2008, she held 3 solo exhibitions in Tehran and Isfahan, and some group exhibitions of painting and new media between 2000 and 2014 in Iran and elsewhere. The heart of her opus is the human being. Her works are mainly concerned with women-related issues such as dignity, the veil, freedom and its obstruction, and the social perceptions of women. Her main concern is contemporary human life in regards to society’s problems, attitudes and reactions. She makes use of different media – painting, installation, photography – to present her ideas. She believes that since contemporary artists stem from society, they must express their concerns in an international language and rely on a variety of media. She sees the audience as most important in her works. She believes that art without an audience is ineffective. Richard Trottier worked as engineer in the fields of college teaching, in production plants (pulp and paper, chemical production and environmental issues) and in a government research centre (lessening of industrial greenhouse gas emissions). Now retired, he reads, learns Chinese, and studies mathematics. With his wife on the accordion or the piano, he experiments with singing (especially during family reunions). In 2016, he discovered contemporary dance performance, thanks to Et Si On Dansait, a mediation workshop offered by Circuit-Est, under Emmanuel Jouthe and Sarah Dell’Ava. At 70, his new involvement in the world of dance enriches the sensations and the emotions of his life: he is intent on continuing in this endeavour. Annabelle Chouinard, 16 years old, took up the violin at the age of 8. From 2013 on, she studied with Anne Robert at the Conservatoire de musique de Montréal. She won many awards while participating in musical contests. In 2017, she took part in Radio-Canada’s Virtuose show, hosted by Grégory Charles. She also held a role in Oriri, a contemporary dance performance by choreographer Sarah Dell’Ava at Tangente in 2013. Annabelle studies at the Joseph-François-Perrault secondary school, in a program combining arts, studies and international education. Annabelle also practises sports: between 2011 and 2013, she won three gold medals in the cross-country skiing event (1.9 km) of the CSDM. Along with her family, Annabelle also hiked along old European pilgrimage trails: in 2012, the Compostelle trail (from Arles on: 1800 km) and, in 2015, the Via Francigena up to Rome (900 km). In addition to music, Geneviève Dussault studied different dance techniques (classical, baroque, renaissance, Indian and contemporary). Having obtained a Master of Arts in Dance from York University, in Toronto, she is also a specialist in movement analysis, holding a diploma from the Laban/Bartenieff Institute of Movement Studies. 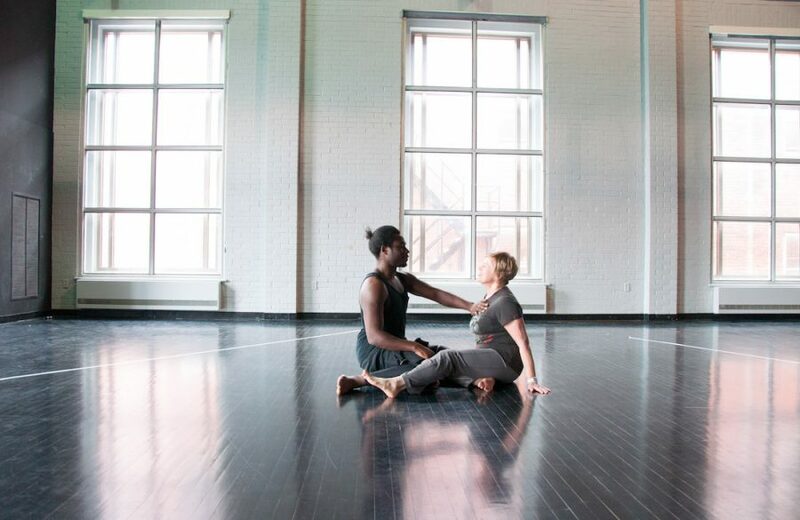 Since 1984, she lectures at the UQAM Dance Department, giving numerous courses, both theoretical and practical, at the 1st and 2nd cycle levels. In 2016, the relevance and versatility of her teaching were recognized by the University, which granted her an award of excellence. As choreographer and dancer, she has worked for stage and cinema, performing in Canada and Europe thanks to funding from the Conseil des Arts et des Lettres du Québec. 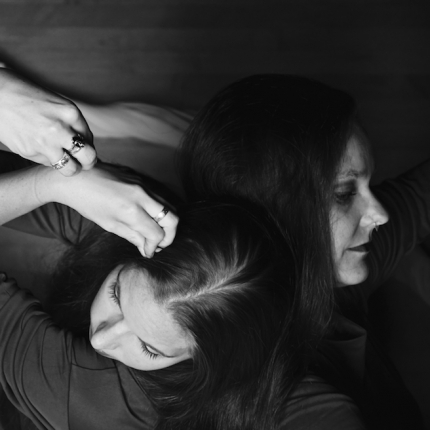 In 2013, along with her daughter Annabelle, she danced at Tangente in ORIRI, a contemporary dance performance by choreographer Sarah Dell’Ava. Born in France, Matéo Chauchat first got involved in contemporary dance at the age of 8. After having spent a number of months with Les Ballets Contemporains de Saint-Etienne, he joined the company for children Les Orteils de Sable, directed by choreographer Mireille Barlet. As a dancer, he took part in seven works, two of which were in an international exchange framework. At the age of 18, he was admitted to L’École de Danse Contemporaine de Montréal, where he acquires training as a contemporary dance performer. Apart from these studies, he seeks to enrich his artistic sensitivity through choreography. He is now in his third year at the EDCM, carrying with him a small bunch of personal projects. Amaryah Yisrael is 5 years old and loves to sing, dance and pick flowers. She is spunky and sweet, which makes for a good mix!